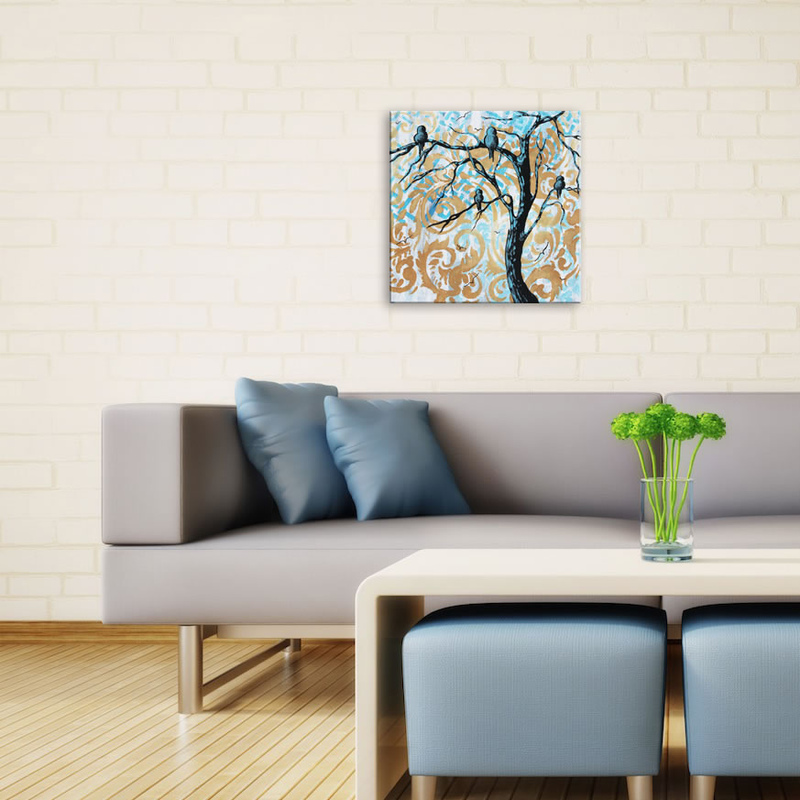 This is a wonderfully imaginative design by world-renowned painter Megan Duncanson. 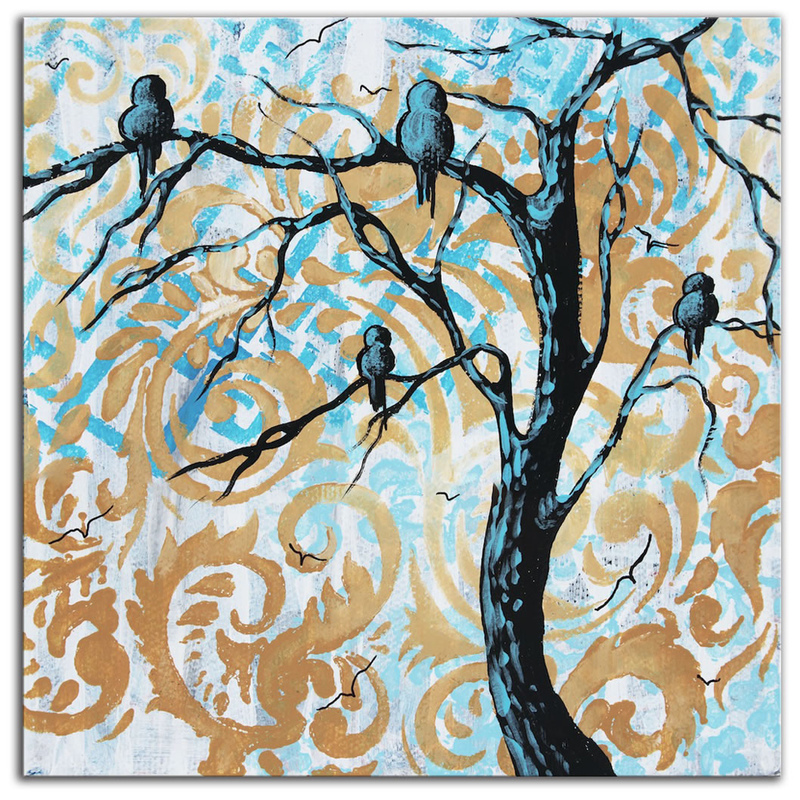 Depicted is a modern landscape consisting of comfortable tree on an abstract paisley-like background, with a family of birds perched and enjoying a lovely evening. The layers of colors and abstract patterns merge together to create a perfect eclectic accent for your wall. The versatile design and colors allow it to work in various settings, including a home, office, hospitality, or even nursery.